After confirming that over 1 million copies of The Witcher 3: Wild Hunt have been pre-ordered worldwide in advance of the May 19th launch, we’re assuming that CD Projekt RED is pretty damn happy right now. With the hype machine in full gear right now, and not much competition next week, the PS4, Xbox One and PC release definitely has some momentum. We’re also assuming that Conan O’Brien’s Clueless Gamer review from last week (embedded below) didn’t hurt at all. CD PROJEKT RED, creators of the critically acclaimed Witcher series of games, announce that worldwide pre-orders for The Witcher 3: Wild Hunt have exceeded 1 million! “We’ve crossed the 1 million pre-order milestone and it’s all thanks to you guys! We would like to thank all the gamers for their trust and support,” said Marcin Iwiński, co-founder, CD PROJEKT RED. “This is the last stretch and we’re pushing hard — over the last two weeks, we’ve increased performance on all platforms and started working full speed on the expansions, Hearts of Stone & Blood and Wine,” concludes Iwiński. Garnering over 200 prestigious awards before launch, The Witcher 3: Wild Hunt is CD PROJEKT RED’s most ambitious endeavour up to date. Set within a truly open world, the game puts you in the role of a wandering bounty hunter and monster slayer, Geralt of Rivia. In The Witcher, you take on the greatest contract of your life — tracking down the Child of Prophecy, a living weapon that can alter the shape of the world. The game will receive 16 entirely free DLCs that will be available for every gamer owning a copy of Wild Hunt. The DLCs will be released in pairs on a weekly basis, starting from May 20th. The game is scheduled to launch May 19th, 2015, on Xbox One, the all-in-one games and entertainment system from Microsoft, Windows PC, and PlayStation 4. 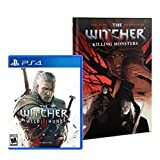 Visit www.thewitcher.com for more information about the game and pre-order availability worldwide.